Be the first to hear about their new releases and deals. Download the Booksprout app and search for Avenna Hensley today! 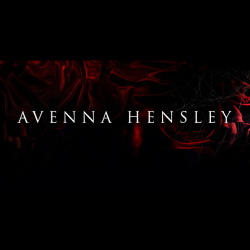 Avenna Hensley is the alter ego for a USA Today Bestselling Romance Author. Because she is a mother of two young girls, she decided it was time to turn her spicier stories into books that they could read as well... before the age of 18. So, with her wee ones cheering her on... Avenna Hensley was born. Join her in this labor of love and journey into the young adult world.